There is no doubt that certain foods are good for you, and others are bad. On a simple comparative scale of 1 to 10, one could rationally rank various foods and come to realize that one is in control of his/her wellness. I often use MacDonald’s french fries as a good example for the bad food, ranking it at the bottom of the scale, even below the scale by at least 5 marks. While we would certainly find parsley much higher on the scale towards the 7+. Meanwhile, there are many supplements, foods, food extracts or spices that come up in our daily media-feed that claim all sorts of medicinal or miraculous properties. I am thinking of vitamin C, or resveratrol, even plain garlic, turmeric, and others like honey or hemp, etc. Most of the time, there is no empirical evidence for these claims. Or in some case, they are proposed more as a medicinal (quasi-pharmaceutical) rather than as a natural (let thy food be thy medicine). Food lists often have to be taken with a grain of salt, but when the CDC (Center for Disease Control) develops a new classification scheme and ranks them by nutrient density, we tend to take notice. The CDC has ranked 47 of the Powerhouse Fruits and Vegetables and dominating the ranking, the top 15 are leafy green vegetables. We humans are always curious, always learning, always quantifying and questioning, always innovative. We quest for bigger, better, faster and easier – searching for shortcuts through our daily lives. We examine, scrutinize, dissect, extract, and study everything from human cells to galaxies, and from foods to frogs. When we “discover something new and improved” – never mind if it was there all along – then we hurry to commodify it and plant our flag on yet a new mountain of potential wealth and fame. This goes for food as much as for anything else. Why always dissect it in search of what makes it food, and/or which vitamin or other nutrient makes this food better for us than that? Why extract lycopene from the tomato and proclaim that this is THE champion nutrient, THE cancer-fighter – the tomato’s claim to fame? As good as Michael Jordan was, it’s doubtful that he alone could’ve won 6 NBA championships – it takes a team – and so it is with the nutrients in food as well. A single nutrient can’t save the day alone. It acts in concert with other players on the nutritional team. So let’s look through a “super-macroscope” and try to envision FOOD as a single entity – the whole enchilada – and not just the sum of its parts. And by food, I’m talking about real, natural food – the sort that existed back 100 years ago or more – and not the nutritionally bankrupt, sugared-up, packaged and processed facsimile of food that we see in those middle aisles at American supermarkets. What if REAL FOOD is meant to be eaten as a whole, including the full spectrum of fresh available foods and its wide variety of tastes, textures, forms, and colors, limited only somewhat by regionality and seasonality. What if we stop trying to pick and choose which parts of this thing called food are better for us than others and instead strive to eat some of every form of leafy green and other veggies, every fruit, every nut & seed that is available to us. Certainly, with today’s knowledge, we can postulate that certain foods are more nutrient-rich than others. The operative phrase there is “with today’s knowledge”…but what will we discover tomorrow? Ultimately, something that is unlikely to change is that consuming food is about consuming energy. Energy for our cells and from one ultimate source: sunlight. Hands down, algae and plants are the most efficient source – the producers – of a bioavailable form of this energy, through the process of photosynthesis. Photosynthesis is the means by which solar energy enters our ecosystem. These life forms have the unique capability of converting the sun’s electromagnetic energy into chemical energy in the form of specific sugar molecules that the rest of earth’s species can then consume and use. Without algae and plants, there would be no food for the rest of us within the ecosystem. See this earlier BIONEWS article for a more complete discussion of the food energy pyramid and its principles. It is true that leafy greens are denser and more complete than many other foods in their photosynthetic energy-yielding nutrients such as chlorophylls, minerals, and carotenoids. They are also a rich source of many other health-supporting vitamins, minerals, phytonutrients, flavonoids and Omega-3 fatty acids. They are high in fiber, low in calories, easily digested and eliminated, and leave hardly any mucus/acidic debris; thus making them particularly good for the intestinal tract. Take Popeye’s fav, SPINACH, for example. 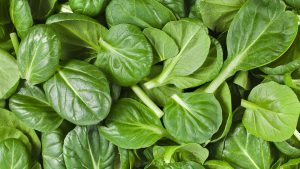 Spinach is an excellent source of vitamins A, B1, B2, B6, C and K, folate, niacin, potassium, manganese, magnesium, calcium, copper, and zinc. It is also loaded with flavonoids/antioxidants that can act as anti-cancer substances. It’s heart-healthy, beneficial for gastrointestinal health, an excellent source of iron, anti-inflammatory, and extremely supportive of eye health (vitamin A, lutein, beta-carotene and zeaxanthin). Most of us are likely guilty of ignoring PARSLEY – the diminutive leafy “garnish” on our plate. Perhaps we simply regard it as a decorative nuisance. 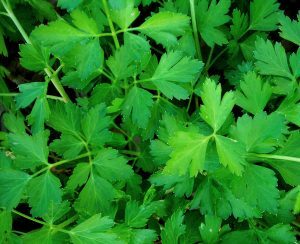 But parsley not only helps to freshen your mouth/breath after a meal, but it may help curb your appetite too! (Hmmm…so do you eat it before or after your meal?) 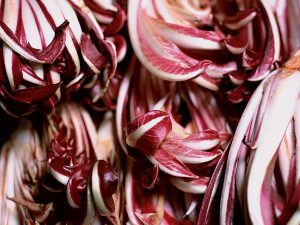 And just that one rather decorative sprig of parsley can provide much of your body’s daily requirement of bone-healthy vitamin K.
Perhaps a lesser-known, small, round purplish-red leafy vegetable, radicchio is the most famous member of the family of herbaceous plants with bitter-tasting leaves called chicory. Chicory is one of the best dietary sources of polyphenols – powerful micronutrients that serve a role in preventing disease. Chicory also contains inulin, a powerful probiotic which is used to combat a number of intestinal and digestive concerns and has been shown to reduce the levels of “bad” cholesterol in the body. Chicory extract is also being studied for its apparent link to a reduction in tumor growth in various cancer studies. 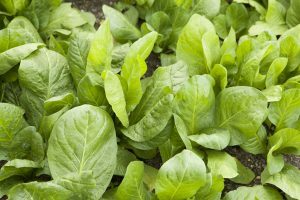 According to the afore-mentioned CDC report, even ROMAINE and LEAF LETTUCE scored more points in terms of nutrient-density than KALE. Romaine is considered to be a heart-healthy veggie due to its vitamin C, beta-carotene, potassium and fiber content; and, racking up a mere 15 calories or less, two generous cups of Leaf lettuce provides 100 percent of your daily vitamin K requirement for strong, healthy bones. 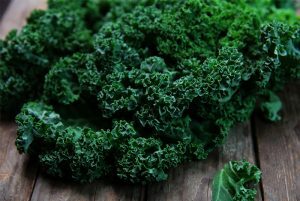 One of the family of cruciferous vegetables known as Brassica oleracea that includes broccoli, cabbage, Brussels sprouts and kale – Collard Greens boast incredible cholesterol-lowering benefits, especially when steamed. 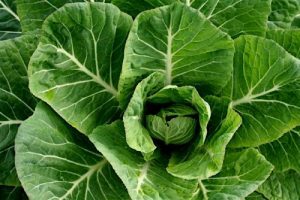 Cruciferous vegetables like the sweet, crunchy, and celery-flavored leaves of CHINESE (NAPA) CABBAGE provide your body with the ability to “turn off” inflammation markers thought to promote heart disease. You surely know that beets are among nature’s most healthful foods, but did you realize that BEET GREENS – or the tops of the beets that many of us have been known to discard – offer far more nutrients even than the bulbous, bleeding red root, and are very low in calories too? 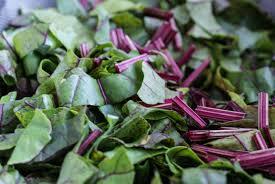 Beet greens supply a good amount of vitamins A & C, calcium, iron, protein, phosphorous and zinc. They are also high in antioxidants, B6, magnesium, potassium, copper and manganese; and are an excellent source of fiber and of the phytochemical compound, glycine betaine, which has the capability of lowering homocysteine levels in the blood. 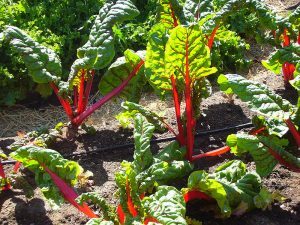 Chard, more commonly referred to as SWISS CHARD contains a minimum of at least 13 different polyphenol antioxidants, including anthocyanins – anti-inflammatory compounds that make this leafy powerhouse one of the best edible weapons in the fight against Type 2 diabetes. Research has shown promising results that those with the highest dietary intake of anthocyanins had better blood glucose regulation and lower insulin resistance. Regular inclusion of chard in the diet has also been found to prevent osteoporosis, iron-deficiency anemia, and vitamin-A deficiency; and it’s believed to protect from cardiovascular diseases and colon and prostate cancers. Watercress containing four times more beta-carotene than an apple, more vitamin C than many other fruits and vegetables, and an impressive 238 percent of the daily recommended dose of vitamin K per 100 grams, this tender, small-leafed and peppery-tasting green may be useful in maintaining healthy and youthful skin. 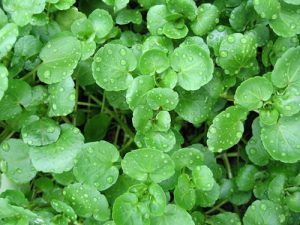 Watercress leaves and stems are also an important dietary source of PEITC (phenylethyl isothiocyanate), which research suggests can help the body fight cancer. So…which food is “better for you”? We firmly espouse the virtue of eating a variety of healthful and colorful whole foods, and there are many foods with health-giving qualities – not just those mentioned in this article. Do you want to have to choose between lowering your cholesterol, protecting your heart, strengthening your bones, steering clear of Diabetes, and fighting cancer? Why not do your best to invite the whole team of available nutrient warriors to help you stay at your healthy best? 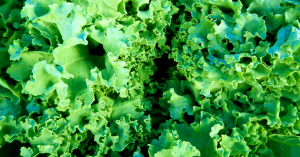 There are many different varieties of lettuce, cabbage, greens, or root veggies, berries nuts, and seeds – and different varieties can vary widely in their nutritional value. Nutrients can also vary depending on when, where and how the plant is grown, how quickly it is consumed after harvesting, and how it is prepared and/or paired with other foods. For this reason, we recommend regular and frequent consumption of a variety of these and other powerhouse fruits and veggies as your best insurance of getting a complete nutritional value. And then there is Bio-Algae Concentrates. Without discouraging you from including in your diet many of the above-listed super greens, I remind you next of the most nutrient dense, most efficient, and purest food on earth, that you can complement your diet with. The Bio-Algae Concentrates (BAC) with its nutrient density so high, it’s off the charts, likely a thousand marks above! No other food possesses such a powerful, wide-ranging and diverse group of nutrients and phytonutrients as BAC. Through these nutrients, BAC provides the brain organs with the energy needed to increase the body’s own innate ability to prevent and reverse the course of diseases, and to increase physical and mental performance from the cellular level up, affecting virtually every metabolic function.